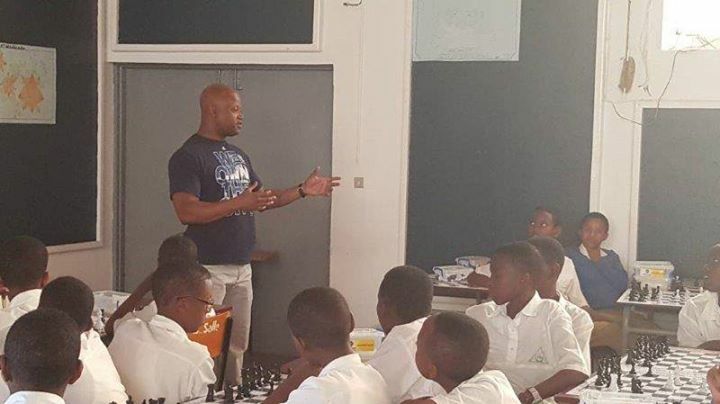 Rwanda was fortunate to be able to host the world-renowned GM Maurice Ashley from the 6th to the 11th June 2017 for our final leg of the Chess Masters for Africa program. 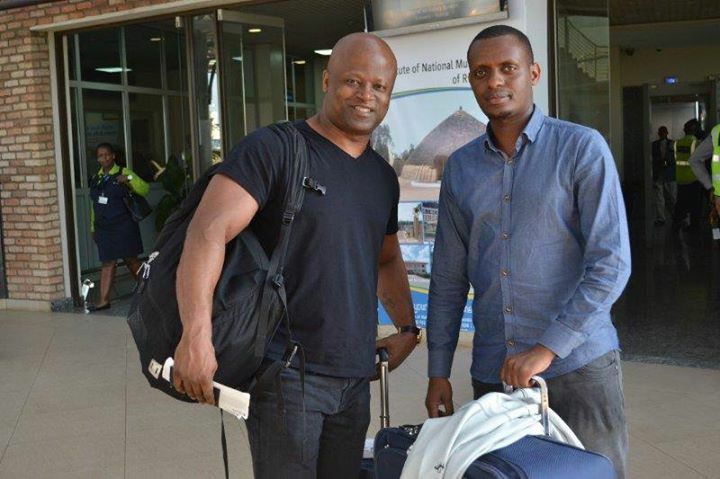 Maurice arrived in Kigali on Tuesday 6th June at around 3pm after having traveled for more than 21 hours from New York. He was looking as energetic as always (despite the long flight) and I met him at the airport and transported him directly to the Classic Hotel which would be his base for the duration of his stay in the country. His first training session was held on Wednesday morning with a small and select group of 4 CMAT trainees. This initial session lasted for 3 hours and say Maurice’s focus on his pet subject – tactics! In the afternoon, the group was joined by Christella, Alain and Sabin and together we visited Lycee Notre Dame de Citeaux. 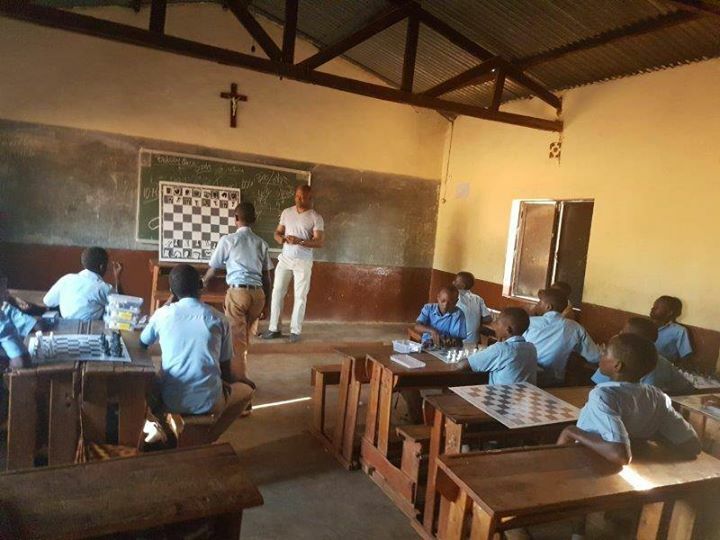 This is a catholic girls school where Sabin is currently allocated as the CMAT trainer. The school has 40 dedicated girls aged between 12 and 14 participating in the program. 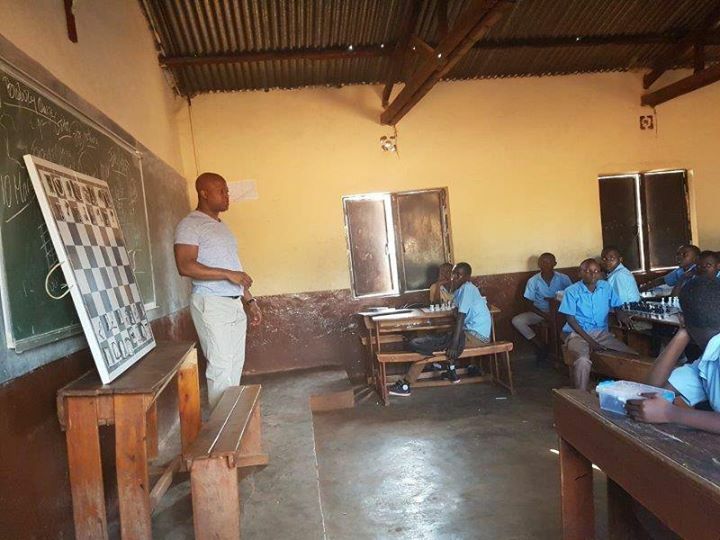 The girls have already received 6 training sessions and Maurice was greatly impressed with their commitment and the way they could follow and quickly capture the essence of the lessons. 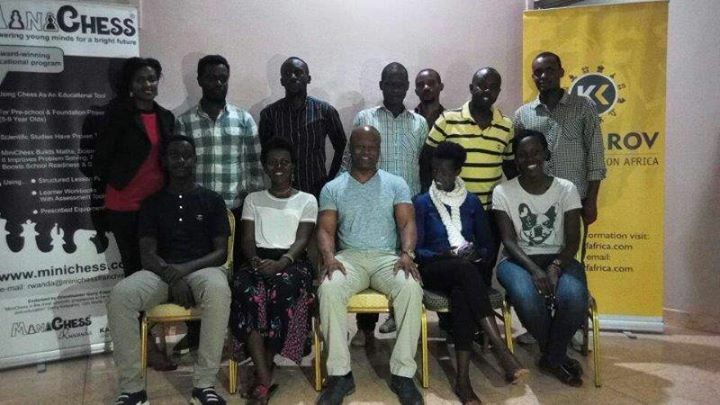 After the school visit, Maurice held a second 3 hour strength training session and this time all the trainees attended. He again focused on tactics, as well as key themes like opposition and zugzwang. On Thursday morning, Maurice worked with 6 of the trainees where he again focused mainly on tactical training. 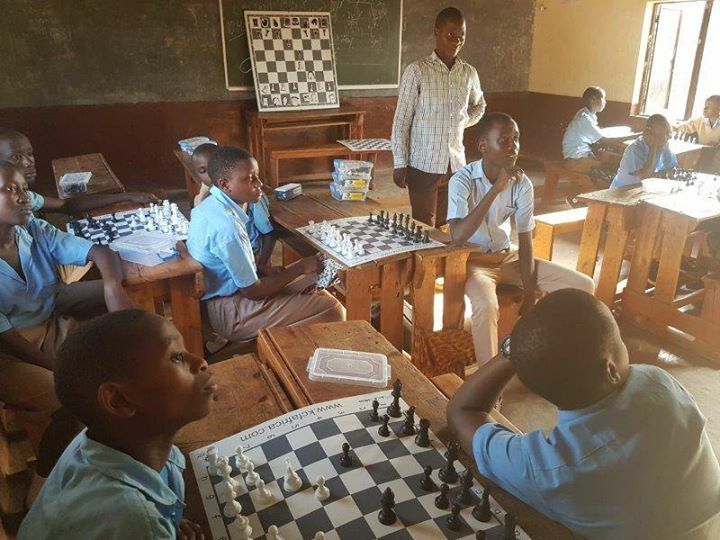 The afternoon was used to visit Groupe Scolaire Sainte Famille, a local primary school where Mr Anastase Nyandwi is working as a regular MiniChess trainer. Maurice repeated the same sessions that he has done at Lycee Notre Dame the day before. 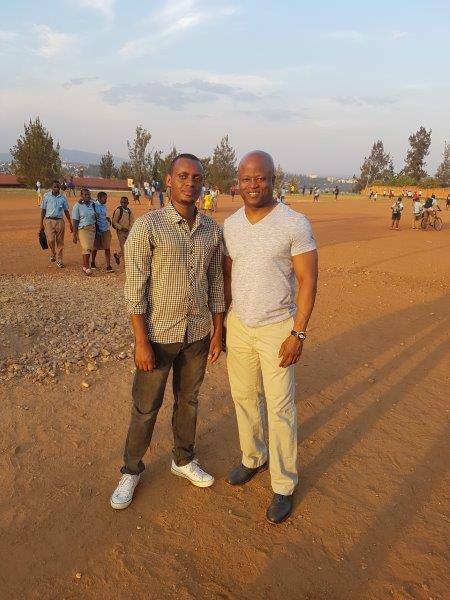 He then held a second session with the trainees in the evening where he discussed many of the weak points which are common to most players in Rwanda. 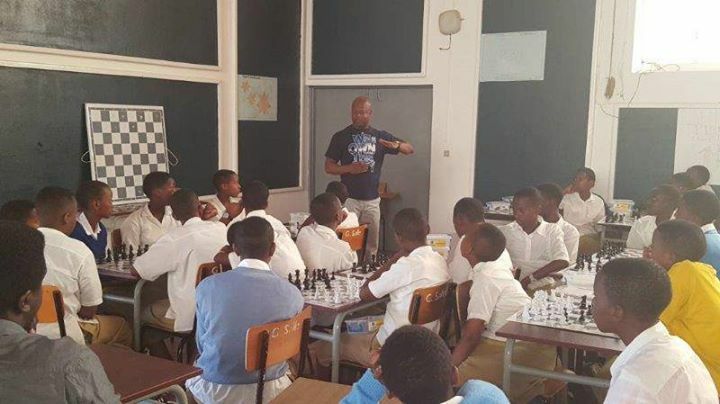 From Friday to Sunday, the Rwanda Chess Federation hosted the 2017 Genocide Memorial Chess Tournament. 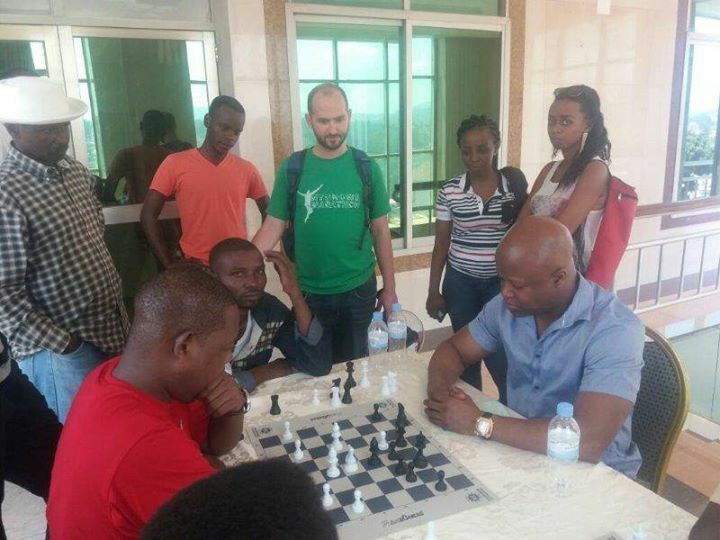 This event was FIDE rated and attracted more than 70 players from 7 different federations. Maurice was gracious enough to officially open the Tournament and he used the opportunity to explain the objectives of his visit and the important roles played by KCF Africa and the Paul Allen Foundation. He then spent time in the afternoon analyzing games with the tournament participants and making suggestions on areas where they could improve. On Saturday morning, Maurice visited the Kigali Genocide Memorial where he learned about the Tutsi Genocide that was perpetrated in Rwanda in 1994. 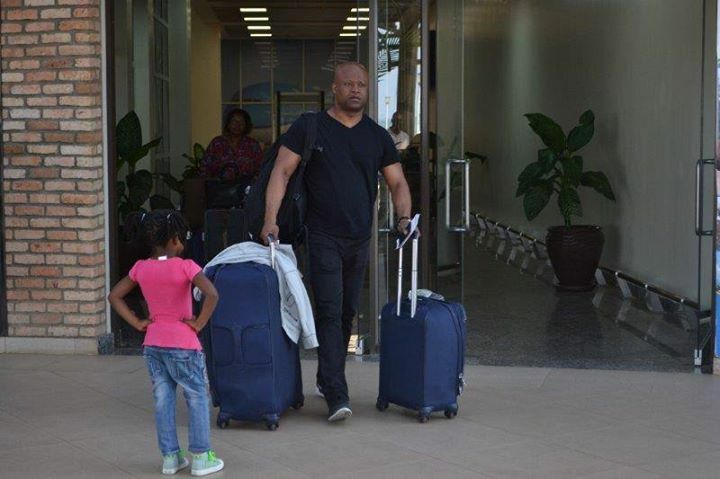 He was soon back for more analysis at the tournament on Saturday afternoon however and he left early on the morning of Sunday 11th June for Namibia where he would complete his African tour. 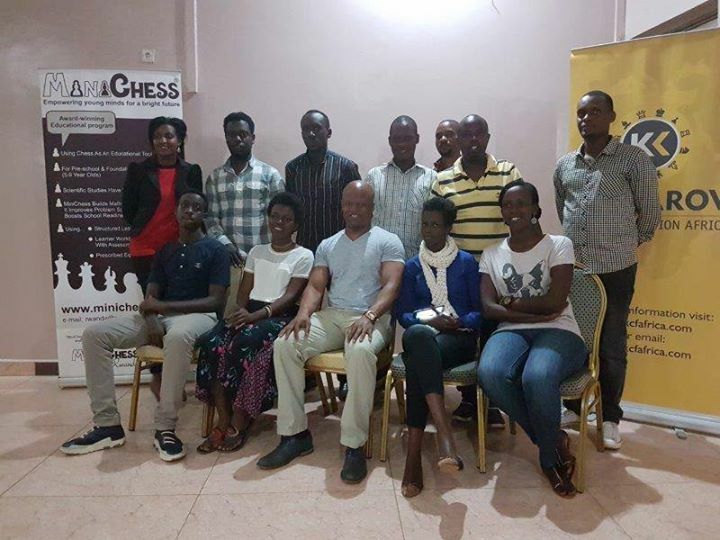 Both the CMAT trainees and the broader chess fraternity in Rwanda learned a lot from this visit and we hope we will as a result. 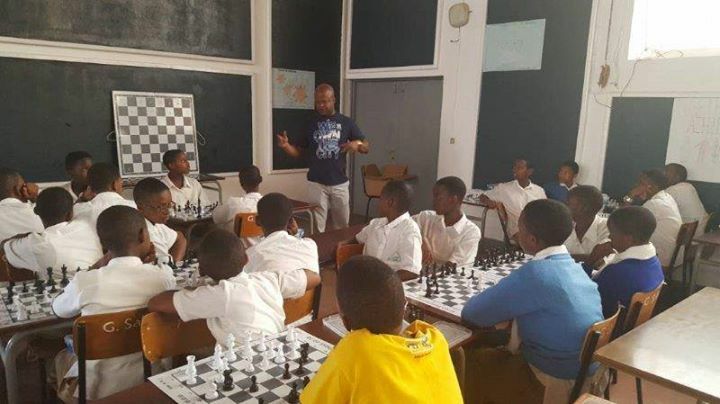 On behalf of the entire Rwanda chess fraternity we wish to thank GM Maurice as well as KCF Africa and the Paul Allen Foundation for the support that you continue to provide to chess in Rwanda.